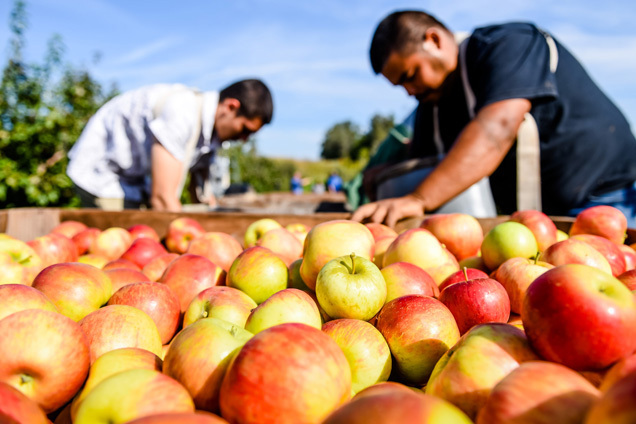 Pazazz, Honeybear’s latest varietal development star, and a true winter apple was harvested last month and is ready for retail stores across the country this January and February. A descendent of the Honeycrisp but with a flavor profile all it’s own, Pazazz offers the perfect blend of sweet and tart flavors and is ready to eat from December onwards. In 2016 the variety will be available in more stores in more markets across the United States than ever before as we ready for a national roll out of the brand and variety in 2017.